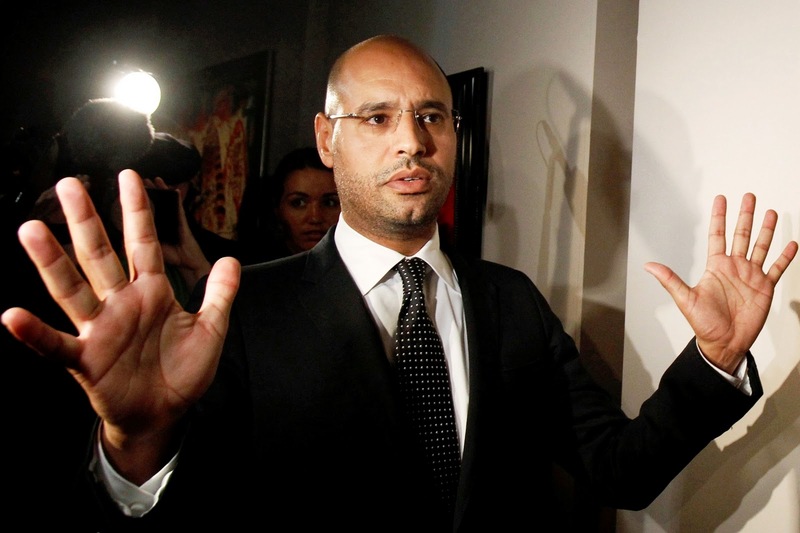 Saif al-Islam Gaddafi (Colonel Gaddafi's 2nd son), was for quite a while known as the 2nd most influential person in Lybia. Earlier today (august 22, 2011) he was arrested by the Libyan National Liberation Army, pursuant to an arrest warrant issued by the International Criminal Court. In his left hand he has an 'incomplete' Sydney line - manifesting as an extra major palmar crease below the heart line. NOTICE: His father, Colonel Gaddafi, appears to have a (splitting) complete head line in his left hand.